You are here: Home » News » Special Offer to celebrate Twelfth Night! 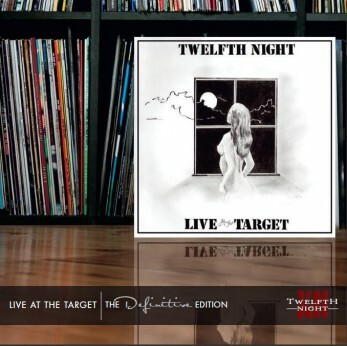 To celebrate ‘Twelfth Night’ – this month’s special offer is the Definitive Edition release of our first vinyl LP, recorded 33 years ago this month at the Target Pub in Reading. Of course in those days we were an instrumental band, and this double CD release features all our most famous instrumental tracks, although one of them (Sequences) famously had lyrics added to it later on. Disc One comprises the original 4-track album recorded over 2 memorable nights in January 1981, while Disc Two comprises a live recordings of all the other tracks the band were playing at that time – including an early version of Für Helene II and Entropy, the last full-length instrumental we wrote before Geoff joined in August 1981. The total running time of both discs is just under 2 hours, and the artwork includes a fantastic 16-page booklet, with some new sleevenotes and many previously unseen archive photographs. So, for the remainder of January 2014, and to celebrate the 33rd anniversary of the live shows, the Definitive Edition double CD is available at the special price of just £ 7.50 (about a third off its normal retail price).